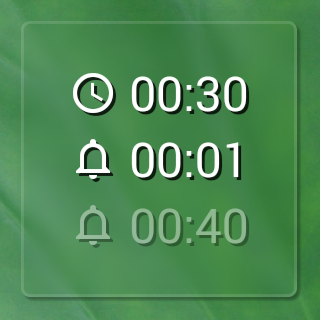 Meditation and Notification Time are displayed at the top right of the main screen. 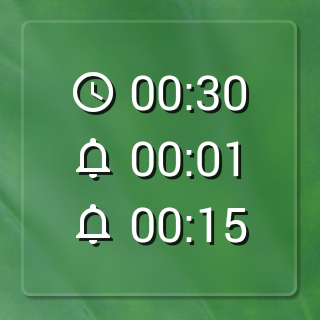 From the top, Meditation, Notification (1), and Notification (2) are displayed. Each of their settings can be adjusted in the settings screen. 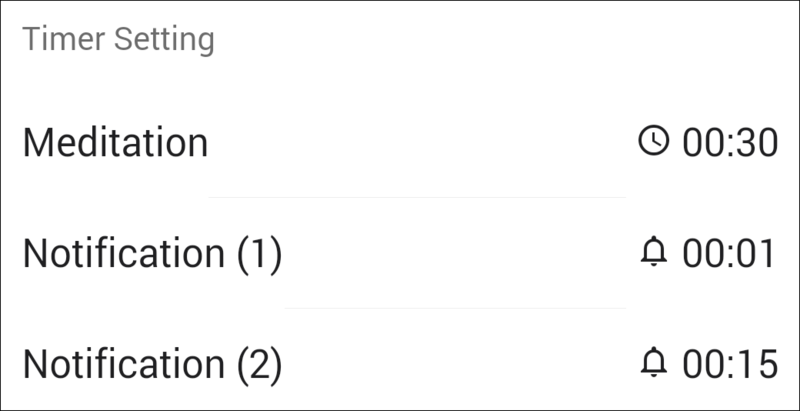 Notification (1) and Notification (2) are handled equally. For example, the settings above and the settings below would be the same thing. 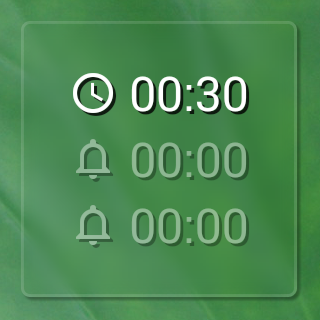 If you want to deactivate Notification, you can set the Notification to be later than your Meditation Time, or set it to 00:00. Deactivated settings will be turn transparent. 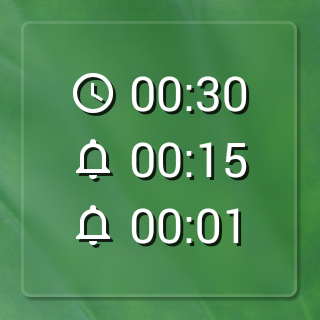 Same times can be combined. There may be cases where the sound does not play due to the settings of the mobile device being used. In the Notification Sound's Settiing screen, sound should play when you tap the choices, so you should confirm that the sound plays before before starting Meditation. Also, volume for each Notification Sound can vary, so please find the appropriate level by making adjustments in both the application’s settings and device settings. Tap the on the record screen's (the screen all the way on the right of the tab bar) tool bar to display [Everyone’s record screen]. At the end of meditation, when you save the recording to your device, the record is also sent to the server. In [Everyone’s record screen], you can see the ten most recent records sent to the server in descending order. The time and date of the records are in the local times where recorded, not UTC (Universl Time Coordinated). Please keep this in mind. Also, if the access numbers to the server exceed the monthly limit, you will not be able to send or receive anything from the server. In that case, you will have to wait until the following month. We appreciate your understanding in this matter. - Please contact us by e-mail or the website contact form with you have any questions, requests, or error reports. Thank you.